Reading’s Alex Krushelnyski takes on all five Icemen for control of the puck during 3rd period action. 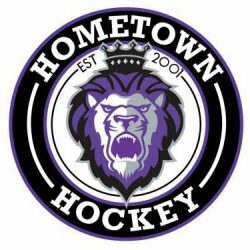 The Reading Royals have announced the team’s 2017 ECHL Kelly Cup Playoff Roster. The roster, which consists of twenty-one (21) players (thirteen forwards, six defensemen, and two goaltenders), is set out below. Nineteen (19) players are on the Active – Available list, while two (2) players are listed on the ECHL Reserve List. Reading has also listed three (3) players on the Playoff Eligible List. 2. a list of all other Players who meet the Playoff Roster Eligibility requirements, but who are unavailable at the time that Playoff Rosters are due to the League Office due to recall to the AHL or NHL. The Playoff Eligible List may only list Players who are unavailable due to recall. All other players (i.e. injured Players) must be listed on a Member’s initial Playoff Roster (active roster or reserve list) in order to participate in thePlayoffs.